World Egg Day is October 12 and this year’s focus is on the crucial role that eggs play throughout our lives as an excellent source of the highest quality protein, vitamins, and minerals. Proteins are the building blocks of life and it’s never too soon to benefit from the positive power of eggs. Full of essential nutrients, eggs contribute to healthy fetal development. This is an important message to convey to prospective parents to ensure each unborn child has the very best possible start in life – no matter where they are, or into what circumstances they are born. A high-quality source of protein is vital, particularly in childhood. Every cell in the human body contains protein which we need in our diets to generate new cells. 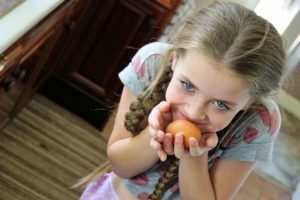 Packed full of goodness, eggs provide a complete food solution that supports healthy brain development in young children and improves concentration levels at school. Into adulthood, eggs remain an essential dietary partner. Not only do eggs build protein and repair tissue, they are also essential for making enzymes and hormones. Having an egg-rich diet can also help you stay feeling fuller for longer and be an important ally in effective weight management. Essential for bones, muscles, cartilage, skin, and blood, egg protein helps to repair body tissue as we grow older. During the later years, eggs continue to deliver substantial benefits and older people can significantly improve their health by increasing their egg consumption. Eggs are an affordable source of high-quality protein, with the potential to feed the world. Plan on enjoying eggs with your family on World Egg Day and every day. Check out these delicious World Egg Day recipes from Incredible Egg. 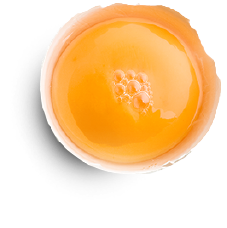 Click here to learn more about the safe handling and cooking of eggs. For important egg safety tips, follow us on Facebook or Twitter.